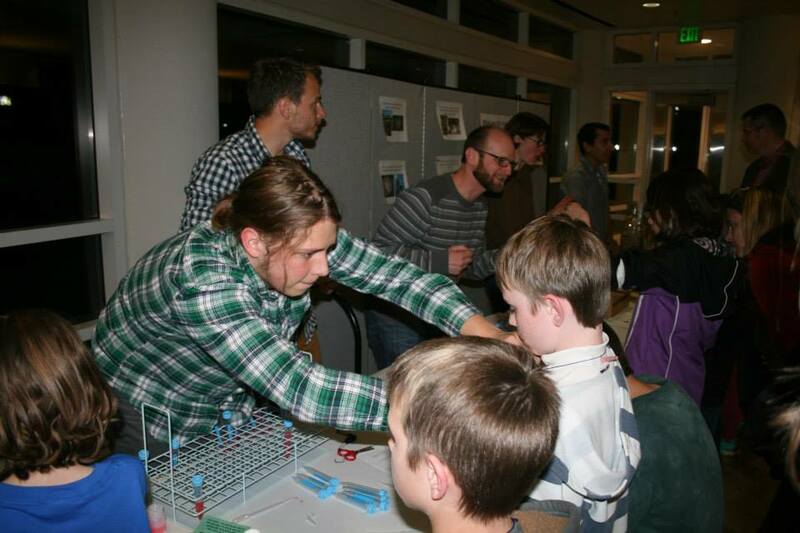 We were invited to participate in Utah State University’s Science Unwrapped series this April. After listening to a presentation from Paleontologist Mary Schweitzer, kids of all ages visited our booth to view an assortment of arachnids (provided by Zach Valois) and extract DNA from their cheek cells. They created necklaces from their DNA, which they took home with them. We all had a great time. This entry was posted in Uncategorized on May 11, 2014 by zgompert.